Patna : After two murders in Darbhanga another body of an engineer, has been found in a ditch in Vaishali district of Bihar. 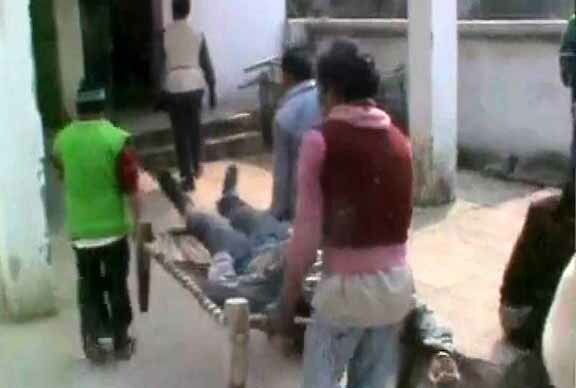 Notably, two days ago two other engineers were murdered in Darbhanga district of the state. The victim, whose body was found in an orchard, was identified as 42-year-old Ankit Kumar Jha, a Quality Engineer of Reliance IT. Superintendent of Police Rakesh Kumar said local people found the body in the orchard in Kashipur village under Rajapakar police station and informed the local police. The policemen went to the spot and found it to be that of Jha on the basis of a diary and identity card recovered from his pocket, he said. The body bore multiple injury marks on neck and stomach from a sharp object, the SP said, adding it has been sent for post-mortem at Sadar hospital in Hajipur. Jha, son of Shatrughan Jha, was a native of neighbouring Muzaffarpur district, Kumar said. A probe was on to find out the motive behind the murder of Reliance IT's Quality Engineer, whose jurisdiction was entire North Bihar, the SP added. The engineer's murder in Vaishali district follows a similar incident in Darbhanga district three days ago in which unidentified assailants shot dead two engineers of a road construction company. According the sources said Jha may have been killed by criminals and the body dumped in the ditch. The body has been sent for autopsy and a probe is on to find out who were behind the crime. Television reports quoted his family members as saying that Jha had left home for work on Sunday night.